This crochet throw is a must! It has everything… intriguing pattern lines, decorator hues and snuggly softness for any spot. It is one of a kind and can be the perfect addition to both modern and traditional interiors. You can easily enhance the fashionable look of your home with this throw and color-matching pillows. Make more than one so everyone in the family can have their own. The link to the full pattern is below. 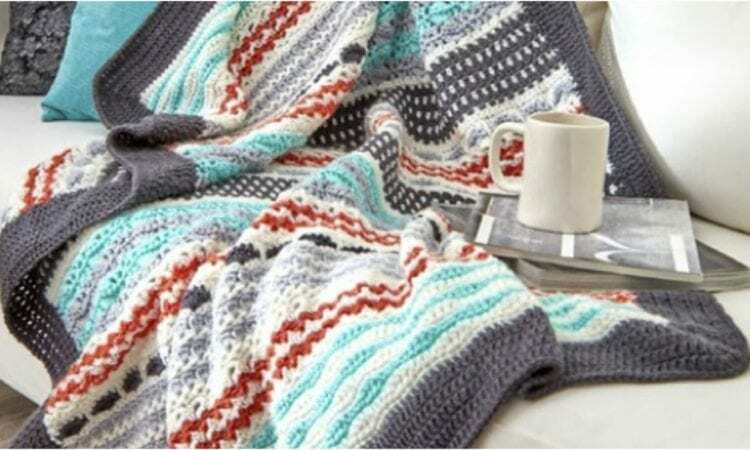 Inspired Stripe Throw – the free pattern is here. For more ideas and free crochet patterns join our Facebook group.